Take Your Teamwork to a New Level. 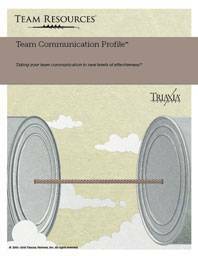 The Team Resources® family of online team diagnostics provide clear, informative reports that reveal your team's greatest strengths and hidden weaknesses. Each topic includes questions designed to help your team understand their results and begin a dialog on how to improve their team dynamic. at a strengths and weaknesses report. Our reports will walk you through developing a plan to overcome challenging issues, and turn them into strengths. 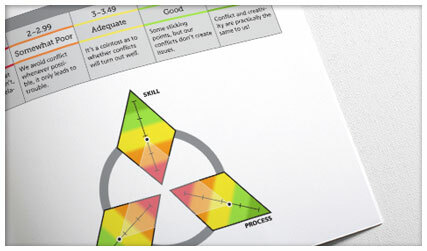 Team assessments that will help you develop measurable goals with visible results. 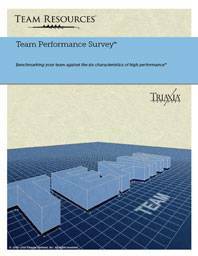 The Team Resources® Performance Survey™ shows your team where they stand on the road to becoming a high performance team, and provides a concrete understanding of what it will take to reach that goal. How well does your team disagree? 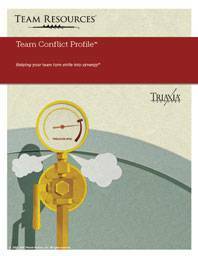 Conflict can either fracture a team or fortify it. Our team diagnostic, The Team Resources Conflict Profile™, shows your team how to make the most of friction. Our online team diagnostics help you unlock your team's true potential. Teamwork is cooperation. 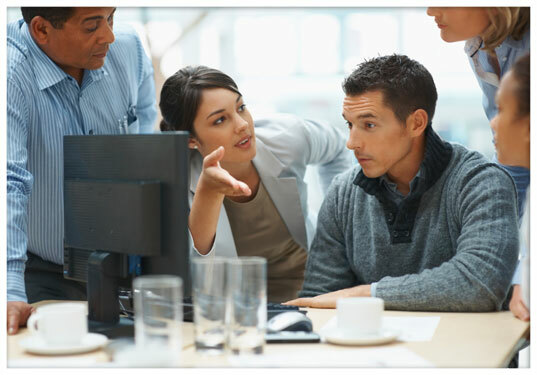 High performance teamwork is cooperation honed to an art form. The Team Resources™ online team assessments help you gauge what stage your team has reached in its development, and identify key roadblocks that may be preventing your team from reaching its highest performance. 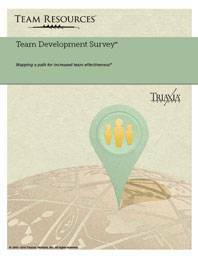 The Team Development Survey™ will help your team calibrate where they are and where they could be developmentally. your path to high performance. 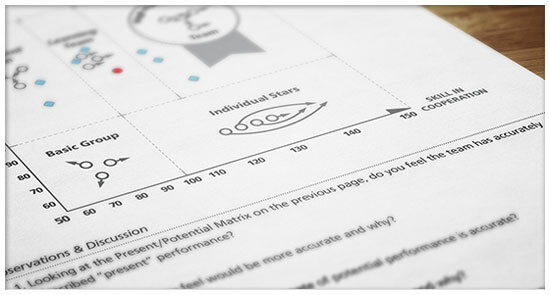 The Team Performance Survey™ will reveal your team's strengths and weaknesses as defined by the six characteristics of a High Performance Team. insights into how to work effectively together. 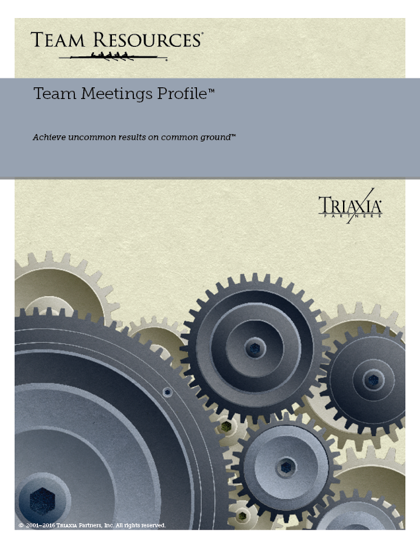 Many teams are clear that they have issues in a certain aspect of working together. 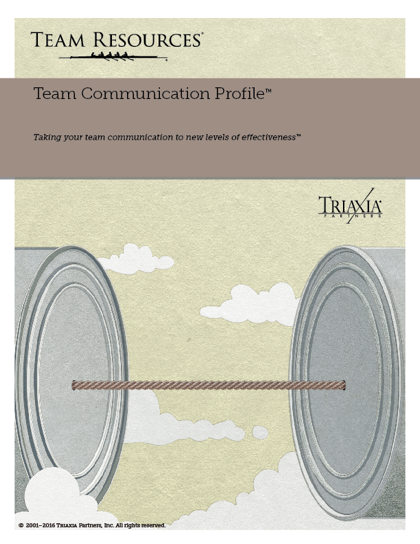 The Team Resources Profiles™ address specific challenges and how to make them strengths.